Biggest Realtor Event of the Year! Join the Schell Brothers team as we salute you, our Realtor partners. 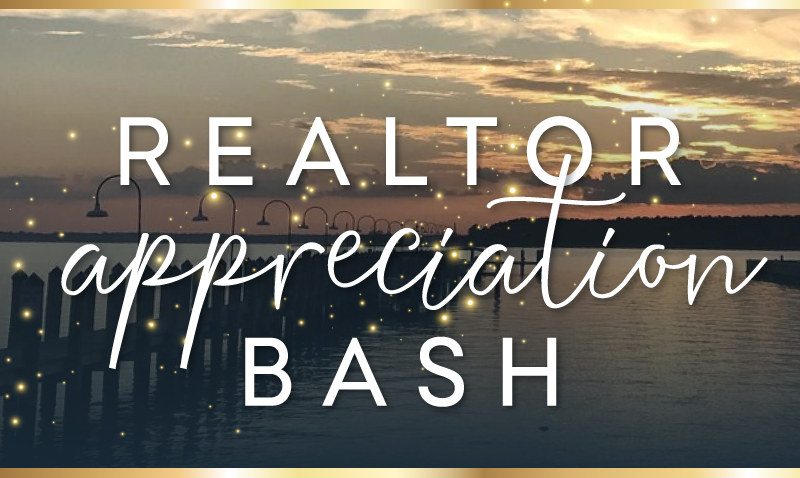 We will be honoring our top realtor partners throughout the evening and every Realtor will have a chance to snag additional commissions in 2019 as well as prizes, including a vacation and a billboard on Route 1! Plus, enjoy live music from the Ginger Band, an open bar, food station, goody bags, and head shots. Come out for a great time on us! To prove it, we pre-pay commissions. We view our relationship with Realtors as a true partnership. That means we do all we can not only to build your clients the right home that fits their needs, but also to support you and your clients throughout the homebuilding process. We regularly hear from Realtors that the Schell Brothers&apos; team makes their work easier. Commissions are pre-paid at time of contract. We love dishing out awards. You deserve it. Our Realtor partners are stars, and we appreciate just how bright they shine. We throw a party every year to appreciate our Realtor friends and pass out awards to recognize their hard work. It&apos;s just another way we show our gratitude. Submit the form below, which registers your clients for all communities at one time, and read and accept our Terms & Conditions and you’ll be eligible for our Realtor Rewards Program. It’s that simple! Note e.g. community/communities of interest, timeframe, price range, desired amenities, etc. Note: By registering your customers, you’re agreeing to the terms outlined in our Realtor Rewards Program. Clients will be sent an email confirming they have been registered by you as their Realtor. The online registration is valid for six months. It is the responsibility of the Agent to re-register his/her Clients after the expiration date in order to be eligible for any applicable Schell Brothers Rewards Program(s). The Customer visited a Schell Brothers/Kincade Homes community and/or Branch Out Division as a result of the Agent’s recommendation. The Customer was registered by the Agent before or during the Customer’s first visit to a Schell Brothers community. The Customer acknowledges, that the Agent referred him/her to a Schell Brothers/ Kincade Homes community and/or Branch Out Division. Schell Brothers/Kincade Homes will only pay one Broker commission per sale. In the event the customer is registered by multiple Agents, Schell Brothers will pay the Realtor designated by the customer at time of contract. The Customer has been presented with a Customer Information Sheet (CIS). Schell Brothers reserves the right to pay the broker commission prior to settlement after contract ratification and receipt of a mortgage pre approval and/or proof of funds available to settle on the property. However, in the event the Customer terminates the contract, defaults on the contract, or does not settle on the property for any reason, Agent/Broker agrees to reimburse Schell Brothers for the full commission paid. Agent also reserves the right not to be paid prior to settlement. * All information subject to change without notice, certain exclusions may apply. See Sales Team for more information. Commission and/or bonus is pre-paid for non-contingent contracts only upon receipt of all deposits and pre-approval or proof of funds to close. We reserve the right to reclaim commission and bonus if sale does not go to settlement. Accordingly, the Agent may elect to defer payment until after settlement at his/her discretion.